A large oil on canvas portrait of the tenth and final Sikh Guru Guru Gobind Singh will be offered for sale at Sothebys New York Indian Art auction on September 17 2009. The work is one of the highlights of the early paintings in the sale and is estimated at $50,000-70 ,000. 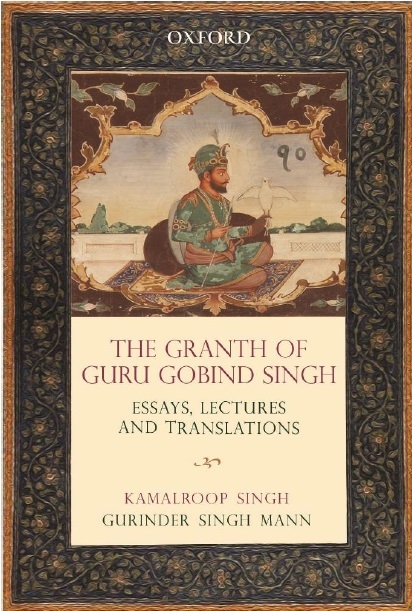 Guru Gobind Singh was the final contributor to the Guru Granth Sahib, the Sikh holy book, and declared that it was the highest and most permanent text in Sikhism. In this portrait he is seated wearing a plumed turban, with his head surrounded by a bright nimbus and a lake and mountains in the background adding to a sense of serenity. This portrait is part of a series of four closely-related paintings depicting Guru Gobind Singh, where each portrait was painted in turn and acted as the inspiration for the next. The final work in the series was created by artist Hari Singh, and is now displayed at the Hazur Saheb Gurdwara in Nanded, Maharashtra; the site of Guru Gobind Singhs final congregation . Among the other Sikh works in the sale is The Ten Sikh Guru with Guru Nanak at Centre from the beginning of the 20th century that is estimated at $5,000-7 ,000. The work dates from a period when there was a big increase in the number of lithographs and painted photographs of Saints and divinities being produced. The third Sikh miniature in the sale depicts Maharaja Ranjit Singh riding a stallion and carrying weapons, with two foot soldiers walking alongside. Ranjit Singh was known for his passion for horses as demonstrated by the jewels being worn by his current mount, the work is also estimated at $3,000-5 ,000. The third Sikh miniature in the sale depicts Maharaja Ranjit Singh riding a stallion and carrying weapons, with two foot soldiers walking alongside . Ranjit Singh was known for his passion for horses as demonstrated by the jewels being worn by his mount in the painting, the work is also estimated at $3,000-5 ,000. Sothebys is delighted to offer works of Guru Nanakji, Maharaja Ranjit Singh and Guru Gobind Singh from the 19th and 20th centuries. Miniatures are and always have been a connoisseurs market. these works have a niche but dedicated collector base. While the existing base is dominated by Europen, British and American collectors , it also includes a small group of non-resident Indians, says Maithili Parekh, deputy director at Sothebys . Links to the pictures and lots.